Graft Network is a new generation of cryptocurrency technology targeted on retail industry. Traditional blockchain-based currencies, even being perfect technically, suffer from the issues, that make their use in retail virtually impossible; these are long transaction time and high fees. 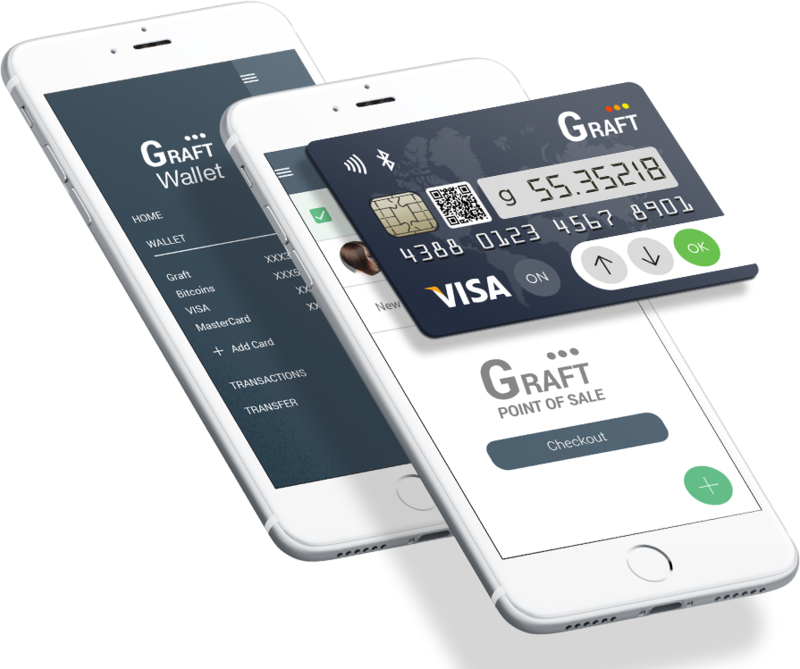 Graft makes paying with cryptocurrency as straightforward as using a credit card or mobile wallet and with no fees to the users. We joined the Graft development at a later stage, when core of the system was already made and they needed to build the primary feature of the whole project, real time authorization, and all the infrastructure, establish user and technical support and initiate development and integration payment terminals of two biggest terminals producers, Verifone and Ingenico, as well as to integrate to/with number of commerce applications like Shopify, Woocommerce etc. Hitech Services engineers provided quality assurance services for staging and deployment, maintaining production environment, making it reliable, fast and safe, dealing with possible malfunctions, ddos attacks etc is that way that end users, miners, potential customers to be not affected. Devops were responsible for automating development processes, deployment etc. All the components, including main network, ICO site and related services, Android and iOS mobile applications, miners, documentations and instructions went through pre-defined and arranged with all participants procedures. Terminal development is an another story, involving design, planning, development and maintaining highly specific kind of software running on regular payment terminals, like Verifon Carbon or Ingenico Desk/5000 and similar ones and the software to manage the terminals from a cloud application, which allows establishing a completely new business model in cryptocurrency world, so called “service providers”. 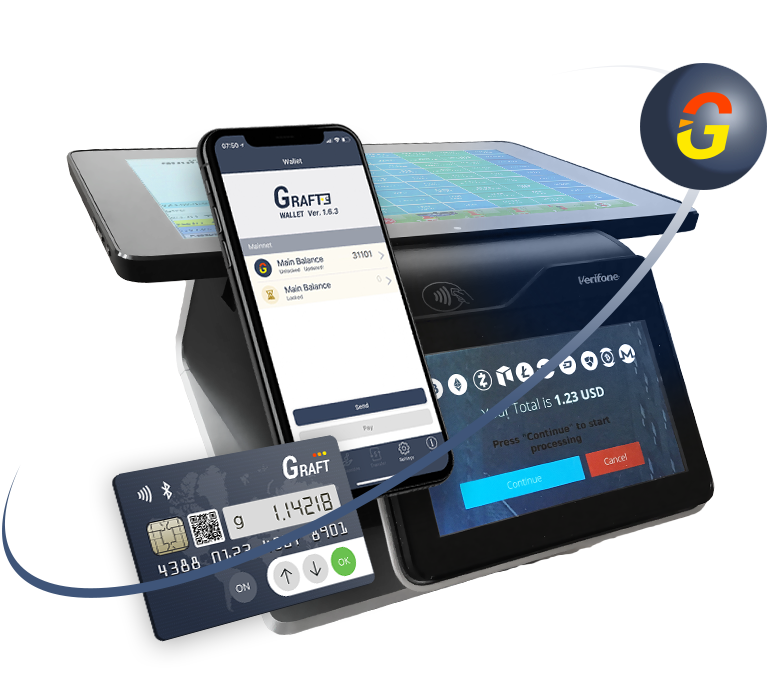 The applications are in development now, and, once completed, will be available in both Verifone and Ingenico app-stores as just another payment option; this gives merchants and service providers ability to easy and quick start accepting payments in Grafts. Graft team has developed rest-based API for third-party developers who want to integrate their software, presumably point of sales, to Graft network and give all the features Graft provides. API is an essential part of the system and is subject of QA and support, like all other components. Being a competency center, we provide all the services a customer needs, giving them ability to involve more workforce when needed quickly; and have specific specialists available, like skilled security engineers, not usually available in small scattered teams.